Juxtaposed the Lyme literate doctor, who rarely sees a Lyme patient within the first 30- 90 days, will say no matter what the ELISA test says, you should get a Western Blot test. And we have our own criteria for interpreting these tests which is, let’s say, not as stringent as the CDC’s criteria; and by the way we use Igenix anyway. By all standards the Igenix testing (and subsequent co-infection testing) is understood to not be very accurate and subject to a wide variety of interpretations. This diagnostic rift is only the beginning of the Lyme patients’ barriers to improving their condition. Next we’ll discuss the four major problems this rift causes for the Lyme patient as well as discussing the treatment conundrum. So here’s problem #1 for the Lyme patient “who does not” get to their initial doctor appointment in the first 30-90 days post infection – The CDC guidelines are for acute infection. You get there (to the doctor) in 30-90 days with an acute infection, test positive for the bacteria, take the antibiotics, and for most people – get better. Problem #2 – most people don’t know when or if for that matter, they’ve been infected, don’t remember a rash and get to your GP months or years later. You are no longer acute, you are chronic. Problem #3 – You show up at the “Lyme doctor’s” office. You are going to get Lyme testing of all sorts that even the Lyme community doctors concede are at the least inconsistent and at worse, unreliable. Problem #4 – Because there really is no definitive testing for Lyme in the chronic phase and knowing that their patients are genuinely ill – there is an agreement among Lyme literate doctors that all chronic problems are Lyme related. This disconnect is a major problem for the Lyme patient. We ended part I in last months’ issue by revealing that the chronic Lyme patient who is not responding to the present “classical” alternative Lyme protocols is because these are acute protocols attempting to address a chronic autoimmune disease. 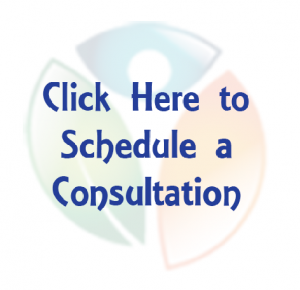 If you would like to find out more about our program or to schedule a free consultation with Dr. Rutherford to go over your specific case and see if you might be a candidate for our breakthrough programs call 775-329-4402 or you can schedule an appointment online by clicking here.